"I went on a 10 day trip with my Sustainable Development/Social Entrepreneurship class to Nairobi where we engaged in field work and developed solutions to sustainable development and health issues in local communities. That was one of the most impactful moments of my time at Lehigh because it gave me the chance to step back from my life at Lehigh and gain perspective about how the people we were interacting with live their day to day lives, and where there is space for innovation within that. 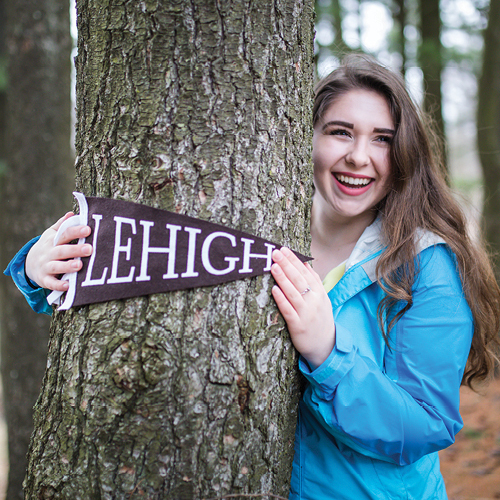 I think getting out of your comfort zone in a new place typically will prompt that kind of change, and Lehigh offers many opportunities for that." Q: You have an interesting combination of majors and minor---was it easy to take this interdisciplinary approach of studies at Lehigh? A: Something I love about Lehigh is that it was very manageable to complete my interdisciplinary coursework over my time here. I was not exactly sure what I wanted to study, but I had the flexibility to add an Entrepreneurship minor after my summer internship where I was first exposed to programs from the minor. My interdisciplinary courses in business and humanities have prepared me to innovate within the social scientific and humanistic dimensions of health and medical care. I am passionate about how technological disruption can act as a catalyst for significant social change, especially in the healthcare domain. Q: What has been a special moment for you at Lehigh? A: While in Nairobi, there was something extremely special about spending 12 hour days with 9 other students (and two teachers) without WiFi or cell service. Some of the best conversations I have had occurred on our long car rides between cities and I really enjoyed seeing the authentic relationships that developed between students, teachers, and all of the local people we were lucky enough to interact with. Q: Do you have any advice about the college search? A: As a transfer student, my advice is to focus on the people. Although the first college I attended was perfect for me on paper, it wasn't until my second semester at Lehigh that I found my best friends. They are all people that make me a better version of myself and after I met them, everything else began falling into place. I can't stress enough the importance of finding people who love and support you, no matter what.